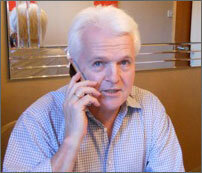 Mortgagesfullstop are an Independent Mortgage Brokers established in 1982 by Ryszard Kuzminski. Ryszard was born in Birmingham and is able to speak Polish. Before becoming a Mortgage Broker he spent a number of years working in the accounts department for various companies from industrial to professional, finally spending just under 3 years as an assistant branch manager for a building society in Birmingham and during this time being promoted to a sub office manager before taking the biggest step of his life and becoming an Independent Mortgage Broker in 1982. As the financial services industry started to become regulated, there was a need for specific qualifications. Ryszard took the opportunity to study for his Financial Planning Certificate whilst with St. James’s Place. This he passed in September 1997. As regulation of Financial Services diversified into regulated which included investment & pensions advice and non-regulated which encompassed mortgages and general insurance advice, Ryszard chose to commit his time to mortgages & general insurance. This is where his expertise lay having advised and arranged mortgages and general insurance for clients for the past 20 years. In order to continue looking after his many existing and new clients further studies were required this time specific to mortgage advice and arranging mortgages. Still with St. James’s Place he took to studying for his Certificate in Mortgage Advice & Practice. This he passed in October 2001. Ryszard left St. James’s Place in 2002 and eventually became Directly Authorised with the Financial Services Authority which was established to regulate the financial services industry. He worked from an office in Great Barr in Birmingham until re-locating to Somerville House in Edgbaston. Your home may be repossessed if you do not keep up the repayments on your mortgage or any loan secured on it. Copyright © Mortgagesfullstop 2014, all rights reserved.